Ready to get those endorphins flowing? We've got a range of offers, programs and support to help you reach your fitness goals. A fitter, healthier you is just a few pluses away! Information to help get you on the path to better health. Receive 20% off a range of Garmin's online products. A range of health support programs and resources to help find a healthier you. Get 5 kids swimming lessons for $25 at participating community pools. Purchase online for 20% off full priced Speedo products (excludes LZR Fastskin Racing Suits). 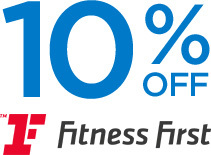 Receive 10% off new 3 and 12-month Fitness First memberships plus a free fitness program when you join. Stay motivated by seeing exactly how much energy you burn every day. Make the most of your workout by discovering your Target Heart Rate (THR). You’ll get 15% off Trek & Electra bikes and Bontrager accessories at participating dealers. What’s better than getting fit? 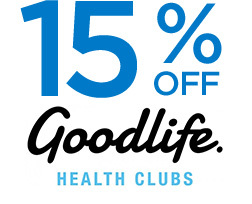 How about 15% off the monthly membership fee? One of our most popular pluses: 20% off all full priced online products. Up to 8 bonus Personal Training sessions and no joining fee when you start a Lifestyle Program. Claim a 30-day gym membership at selected Belgravia Health and Leisure locations for just $9.95. the best, most relevant offers and content. Please confirm your location so we can make sure you get only the best, most relevant offers and content.